Dressage is a sport that requires the horse to execute precise manoeuvres while maintaining relaxation, rhythm and suppleness. Feeding to achieve all of these aims can be difficult. Too much energy and the control and concentration may be lost, too little energy and the horse may lack the power and impulsion required to perform at its best. 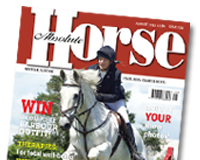 In this issue we find out exactly how to provide the best nutrition for your dressage horse.